Rd 42 is also available. Tailor made solutions are also available. For lifting angles more than 45 degrees,the capacity has to be reduced by half. usage of the capacity of the lifting anchor and the lifting device and is particularly important when using lifting devices equipped with pressure plate. The pressure plate must be securely against the concrete with all of its surface area to be able to fully use the capacity of the lifting device. 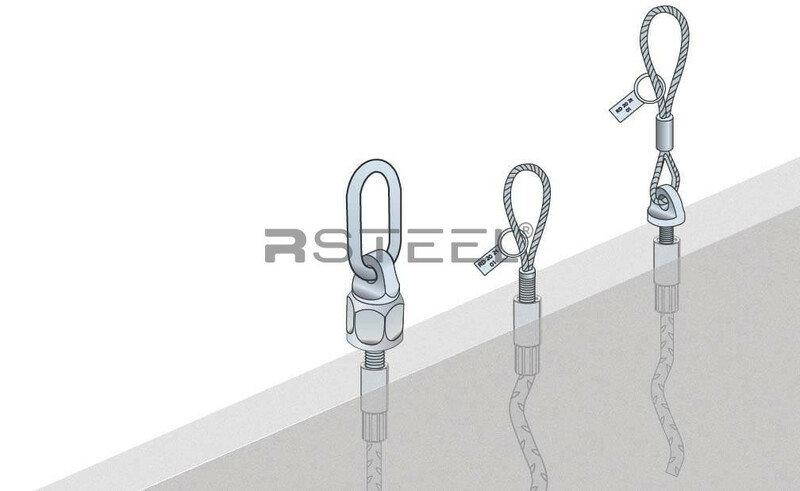 Other certified lifting devices may be used with the R lifting anchors. 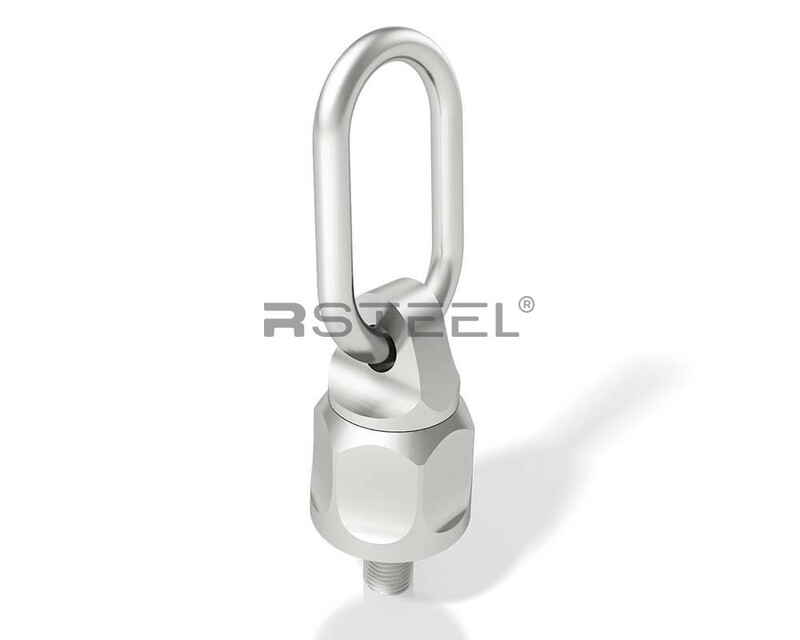 When using lifting devices f rom other manufacturers, the user must make sure the thread of the lifting device fits completely in the lifting anchor and the capacity is adequate. In lifting devices equipped with a pressure plate, the diameter of the pressure plate must be at least as large as in the lifting devices with pressure plate in this user manual. Hot dip galvanized also available on request.